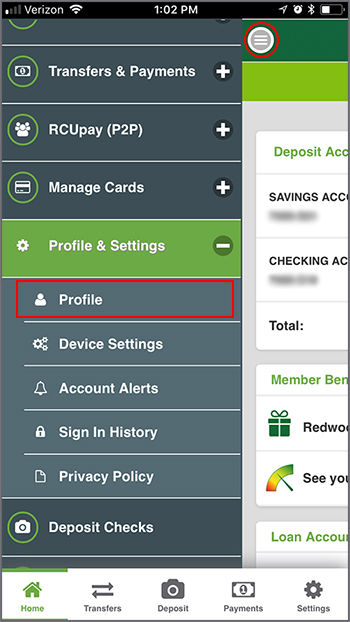 How can I change my personal information in the RCU mobile banking app? 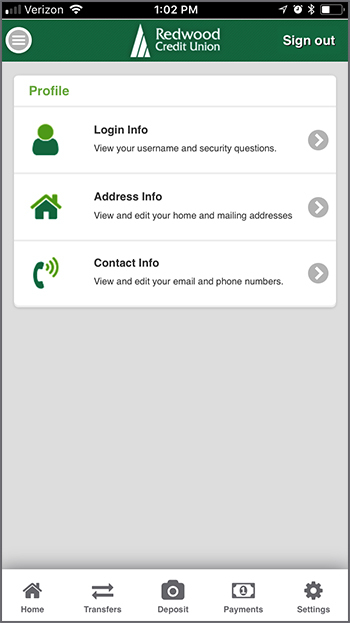 If you are moving you can notify us of your new address by changing your information in RCU Online banking or the RCU mobile banking app. 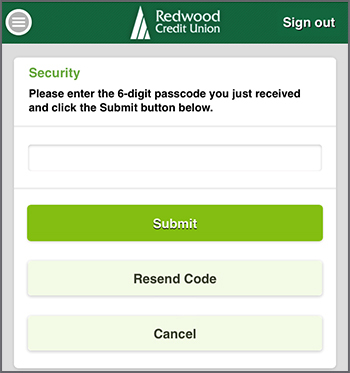 If you are a Member and do not have an RCU Online Banking account, create one now. 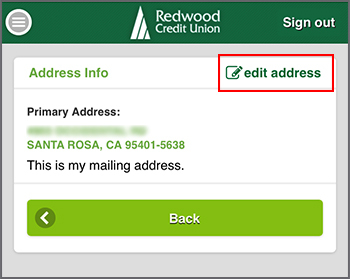 You can also update your email address and other contact information by visiting a branch or contacting our Member Service Center at 1 (800) 479-7928. Click on the menu button in the top left corner, navigate to Profile & Settings and choose Profile. Once on the Profile screen, select your Address Info or Contact Info to update this information. To edit the Address Info click on edit address. To edit Contact Info click on edit contact. For your security, a verification code is required to complete this process. 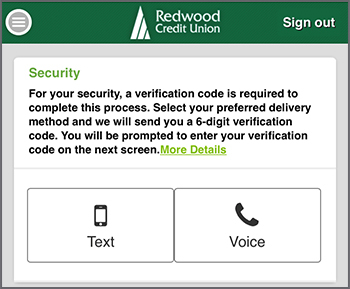 An additional security prompt will display on the screen requesting to send a passcode to you for verification. 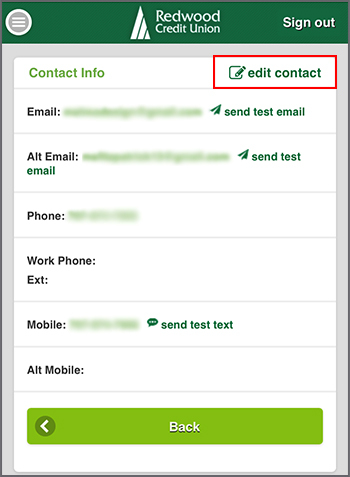 A text message or phone call can be sent to you containing the verification code, and it will allow access to update the account information. Once the method of communication is chosen, you will receive a 6-digit passcode that will allow access to update that information. If none of the information is current on your account contact our Member Service Center at 800-479-7928 to receive your code. After you receive the code, enter it in the verification box and click Submit. If you did not receive the code the first time around, select the option to Resend Code. If there were multiple pass codes received, only the most recent one will be valid. If the communication method that was chosen does not produce a pass code even after resending it, please select the cancel button, and choose a different method.